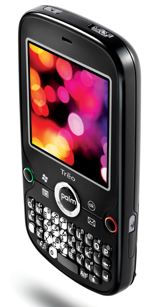 I’ve had a Treo Pro for a couple of weeks now so I thought I’d write a post about what I think of it. If you’re the sort who likes to skip to the end of stories, let me save you a little time. I’m loving it. It’s awesome. I’ll try and explain why in this post. This one has been bugging me for a few days, and with help from a very helpful Google engineer I’ve finally got this working, so I thought I’d share my code where the next poor soul to try and do it might find it! 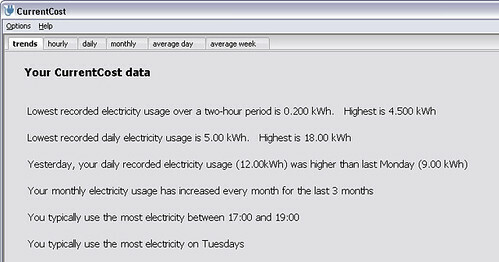 I’ve written a small web service which I am hosting on Google App Engine. By adding “login: required” to specific services in the app’s app.yaml file, I can make sure that you need to login to access a service. If you’re accessing the service from a web browser, this is fine – you get redirected to a Google login page, and after entering your username and password and hitting ‘submit’, you get sent on to the web service you wanted. But how do you do that programmatically? I wanted to do it from a Python application on my desktop, without being able to navigate the HTML login form. 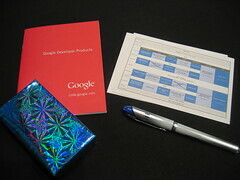 It’s been a very geeky week – only a couple of days after BathCamp, I was in London yesterday for Google Developer Day. I was saying only a couple of days ago that I really need to get my head around some of the options out there for web developers, so this was well timed. The underlying theme for the talks throughout the day was showing how Google are trying to make the web ‘better’. I made a ton of notes throughout the day. Rather than write the world’s longest blog post, I’ve picked out a few interesting bits. I’m home from BathCamp – the Bath barcamp. I don’t have a lot to say about it, but wanted to post a quick thanks to all of the organisers. This was my first barcamp outside London. I mainly went because Bath is my old Uni town, and any excuse to go back is always good. 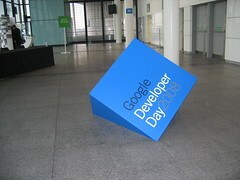 But I’m really glad I went – and will definitely be looking out for more non-London developer events. del.icio.us pecha kucha: ten seconds to describe each of the last ten pages that you’ve saved in del.icio.us. Similar to delicious.salted.com but driven by a Python script, we took turns to give it our del.icio.us username, and each of our last ten saved webpages were opened in turn and displayed on a big screen. Very neat idea, and one that I will have to steal at some point. It makes for a fascinating geeky ice-breaker. I’ve uploaded the slides I used for my CurrentCost talk to SlideShare. They probably wont make much sense without my rambling to go with them, so I’ll try and add some notes to them at some point. Warning: If you’re squeamish or easily offended, this post is probably not for you! If you are reading this on dalelane.co.uk rather than an RSS reader, the header and photos on the right are probably a small clue that I have two small girls: a nearly-four-year-old whirling dervish of gobby bossiness, and a six-month old monster determined to be the loudest thing within miles. I am an insufferable bore when it comes to my girls. They are awesome, and barely a conversation or a twitter goes past without me mentioning them (sorry about that, by the way). The plan was always to have two kids. Not sure exactly why. I guess it’s partly because it’s what we are used to – both my wife and I each have a single sibling, so that’s what feels right. It’s partly financial – kids are not cheap. Even with economies of scale and all, the amount of stuff you need to get for a kid is staggering, and we couldn’t afford another! And that’s just the day to day stuff – with bills like monthly day care fees for Grace that were higher than our mortgage for a long while, I can only wonder how people with big families afford it. The difference from two kids to three kids feels bigger than the difference from one to two. For example, it’d mean needing a new car (I couldn’t fit three kids in the back of my little Fiesta). It’d probably mean a bigger house (would be difficult to squeeze a bigger family into our mid-terrace). It’s partly time, energy and a desperate need for sleep. One child is exhausting. A second makes exhaustion a dim, fond memory. A third? There just isn’t enough caffeine in the world. In short, a third kid would be a game-changer, and not one that we’re ready for. This, combined with knowing that you can’t rely 100% on contraception, is all a roundabout way of explaining why we decided for me to go for a vasectomy. What info would people want from CurrentCost? I’m playing with having one tab in the CurrentCost app show information in a non-graph way. But I’m a little stumped for ideas. Ignoring the styling for the moment, what would people be interested to see displayed?